4K, stretched screens, HDR everywhere and DSLR-bothering cameras – 2017 is set to be one of the best years we’ve ever seen for smartphones. The smartphone industry has had a lot to live up to. 2016 was a standout year, with Samsung delivering its best phones ever – the Galaxy S7 and S7 Edge. Then there was the iPhone 7, Apple’s handset proving that it was still at the top of its game. Google also impressed with its pure Android experience courtesy of the Pixel, and there was a massive influx of top-performing handsets from China’s finest, such as Huawei’s P9, proving that a phone could be brilliant and beautiful-looking, without costing the earth. So, there’s been a lot to live up to, but so far the year has proved encouraging for serial handset-upgraders – this year has so far been an epic one for premium smartphones and looks like it will continue to be. The game has been well and truly raised by all the big names, with never-before-seen screen technology, cameras that can take pictures that you’d be proud to put up on a wall, and even Blackberry is back! Scroll down and find out why 2017 is set to continue to be an incredible year for the super smartphone. Available from just $784 – click here to compare the latest prices! The Samsung Galaxy S8 is one of those phones that just had to do well. After all, last year’s best phone was the Galaxy S7. But with some impressive competition from the rest of the industry, Samsung needed to pull something special out of the bag to be sure it stayed at number one. The good news is that this is one hell of a phone. And it’s not just the one kickass device – there are two of them to contend with. The Galaxy S8 is Samsung’s mainstream handset – the one that’s selling by the bucket-load – with a 5.8-inch screen, while the plus-sized S8+ features a whopper of a display: a massive 6.2 inches of screen real estate, making it one of the biggest smartphone screens on the planet. But the key is Samsung’s new screen tech, which dominates almost the entirety of the handset. Both phones aren’t actually that big, and that’s down to the new Infinity Display. Samsung has crushed bezels in an effort to increase the size of the S8’s screen without making the handset bigger. Not only do you get an almost all-screen phone, the lack of bezels makes the S8 one of the most attractive phones we've ever seen. Every corner and edge has been rounded, making it feel pleasing in the hand – like a next-level S7 Edge. Samsung has made changes to accommodate the all-encompassing display. For starters there’s no home button – instead a pressure-sensitive key is nestled beneath the screen. Then there’s the fingerprint reader, which has been moved to the back. You may dislike this, but whatever your opinion, fear not – you won’t need it because the S8 features extra biometric authentication. With an iris scanner on the front, you can unlock your phone just by looking at it. As a result of these changes, Samsung has redesigned the phone inside-out. The layout of the components has been reorganised. 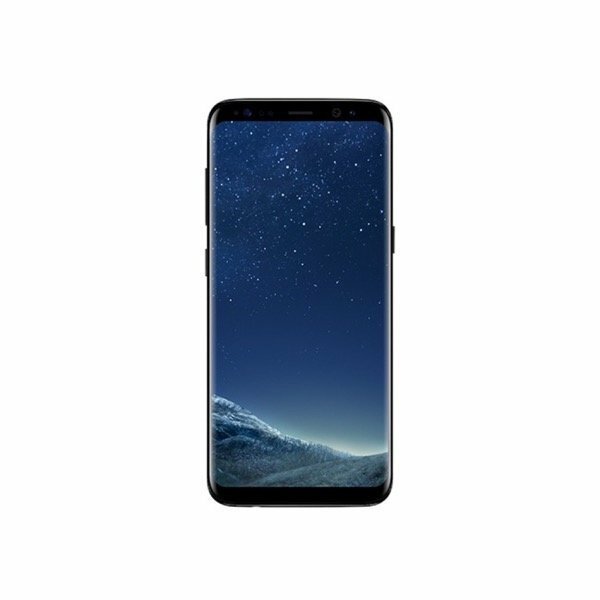 It features a cutting-edge Samsung-made processor, which it says makes the phone 20 per cent more powerful than last year’s S7, yet also much more power-friendly. The S8 is Samsung’s best phone ever, and it’s costliest one too, but with that incredible display and a plethora of tech, we’re sure you won’t be able to resist. Big deal alert: the phone is IP68 certified, so it’s water- and dust-proof. There’s also wireless charging on-board, so you won’t even need to plug it in. Not surprisingly, given the S7’s excellent snapping prowess, the S8’s camera is the part of the phone that’s been least overhauled by Samsung. So you still get a 12MP sensor on the rear, with f/1.7 aperture, but what you do now get is multi-frame processing, so whenever you take a picture you get several shots to choose from. The front-facing selfie-snapper has also been given a boost, to 8MP, with a better low-light sensor. The S8 comes in Midnight, Orchid Grey and Arctic Silver. It's Samsung’s greatest smartphone ever, but is it perfect? * Let’s start with the S8’s super screen - it’s absolutely the show-stopping feature here. Thanks to the lack of bezels you get a big screen, without the big feel. We would have liked to have seen 4K resolution, as with the Xperia XZ Premium, but the inclusion of HDR makes up for it. * It’s a relatively minor thing, but Samsung has collaborated with Harman and will be offering a pair of quality AKG in-ears with every S8 and S8+, so you won’t have to buy another set. And you get a regular headphone socket, so you can still use your favourite set of headphones. * Samsung is making a big deal about Bixby, its intelligent assistant. Bixby learns what you do and offers relevant info when you need it. You can even take a picture and Bixby will display info about what it sees. It could be great, but its voice service wasn't even available at the S8’s launch. * With other handset manufacturers banging on about how important a good camera is on a phone, it comes as a bit of a shock to see a relatively-unchanged camera in the S8. Of course, the S7’s snapper was one of the best you could get last year, but it has some tough competition in 2017. Want to know more? Check out the expert review over at our sister site TechRadar. Japan is back with a bang: A smartphone with a big heart and an out-of-this-world amount of screen tech stuffed inside. Available from just $767 – click here to compare prices! Sony’s latest smartphone is a bit of a shock. Many thought that 4K screens on phones were dead, such was the lack of purpose of this tech on the Xperia Z5 Premium, but it’s back – and it’s rather impressive. The Xperia XZ Premium has all the parts needed to create a world-beating phone: the latest Snapdragon 835 chipset, a big 5.5-inch 4K display with HDR, Android 7.1.1 and eminently practical water resistance. Combine these with the best tech from Sony’s camera, TV and audio departments and you can really make the most of that potent screen. 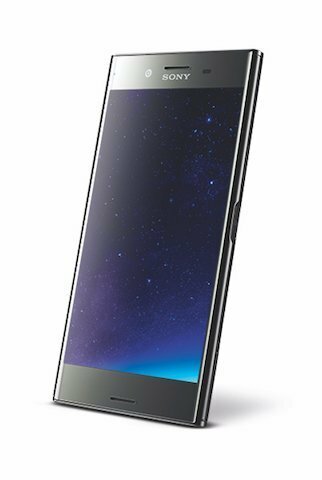 The XZ Premium tiptoes into phablet territory, but by modern smartphone standards it’s relatively compact, and easy to hold in one hand. Design-wise the XZ Premium’s mirrored finish is a shine-fest, especially in the chrome colour, as we’d expect. As is the way of phones in 2017, the connector on the bottom of the phone is USB Type-C, and common sense design means there’s an audio jack on the top, perfect for wired Hi-Res audio compatible headphones. The standout feature in the XZ Premium is the 4K screen, complete with HDR, making it one of the most advanced on any phone. The sharpness, colour and clarity of the screen is eye-popping, and thanks to an Amazon partnership you can stream 4K HDR content right from Prime Video. Constructed of Corning Glass front and rear, the Sony Xperia XZ Premium is not only super tough, it’s super reflective – mirroring its surroundings. Its edges are diamond cut, giving it a high-end, expensive feel. Of course, the XZ Premium wouldn’t be very premium if it didn’t come with great waterproofing, and it does – IP65/68 certification means this handset is resistant to water and dust. With Sony being an expert in photography hardware, you’d expect some form of class-leading camera to be found within the XZ Premium, and that’s exactly what you get – a 19MP Exmor RS sensor with Motion Eye, built using tech from its interchangeable-lens and Cyber-shot cameras. There’s a frankly ridiculous 960FPS slow-motion feature, for capturing dramatic videos, while Predictive Capture ensures you always get the right shot, even if you’re not quite on the ball in high-speed photography situations. The XZ Premium’s 3230mAh battery isn’t especially big given the power-sapping nature of its screen, but there’s built-in battery management in the form of Smart Stamina, which intelligently monitors real-world useage and adjusts power-saving levels accordingly – a day’s battery life is promised. You get USB-C fast-charging too, meaning you can quickly recoup spent juice. New Sony phones ooze potential with so many capable components making up the phone – but previous attempts at a superphone have been lacking. However, the XZ Premium looks to be a solid handset underneath the glitzy headline features. We hope the price is right to take on the Galaxy S8, though. * We’re all over that 4K HDR screen - it really is massively impressive. This alone could be enough to sway those looking at a Galaxy S8. And with a plethora of 4K HDR content piped through Amazon, those who do make the choice will be able to make the most of it too. * One of Sony’s strengths lies in its audio, and the XZ Premium offers the same hi-res audio support you’d find in its dedicated players, enabling owners to play high-quality files, such as FLAC or DSD, while support for LDAC means you can stream better-than-Bluetooth sounds to a compatible speaker. * With only two colours available at launch, including Luminous Chrome and Deepsea Black, style gurus could be left wanting. Thankfully, Sony is offering brighter, if unimaginative, gold and pink options in its upcoming Xperia XA1 phablet, so there could be more choice at a later date. * On paper, it seems that the only weak point in the XZ Premium’s armour is that battery. Even with smart energy management, a 3230mAh battery might be a little on the small side – if you’re going to be watching full-fat 4K HDR content, we’re worried making it through the day will be tough. Want a second opinion? Check out the detailed review of the Sony Xperia XZ Premium on our sister site TechRadar. Blackberry’s latest smartphone wants to get physical, and we’re kind of into it. Available from just $829 – click here to compare prices! If you’re yearning for a physical keyboard on your smartphone, then BlackBerry’s latest – the KEYone – could be your new best friend. Your feelings of nostalgia will peak when you thumb the QWERTY button basher which offers the kind of tactile feedback a touchscreen can only dream of. You can also scroll through pages by gliding your fingers over the keys, a bit like a giant trackpad. New to the KEYone is a fingerprint sensor, and it’s so neatly tucked into the keyboard’s space bar, it’s barely noticeable. Though the keyboard design is positively retro, the software powering this modern BlackBerry is anything but, with Android 7.0 Nougat on show. And this won’t be some nasty bloat-fest – the KEYone is running lovely stock Android, for the pure experience. A real selling point of the KEYone is, unsurprisingly for BlackBerry, the highly secure encryption that’s good enough for world-leading governments. Enterprise users rejoice. Thanks to the physical keyboard, the screen size is a mere 4.5 inches, which is small by current standards, but with the keyboard, the phone is a standard size. Realistically, the KEYone is something you’re only going to appreciate if you really like typing a lot. At just 4.5 inches, the KEYone’s screen is almost as retro as the keyboard. The 1620x1080 resolution (434PPI) is nothing to shout out about either, but at least it’s all in safe hands, with Gorilla Glass 4 offering effective scratch and impact resistance. While it won’t win any awards for style, the KEYone has a smart, purposeful look. The aluminum frame is outfitted with a soft-touch back, meaning you won’t have any hazardous flying phone moments when you whip it out in a rush. If you like to spend time photographing your work space, you’ll be glad of the KEYone’s 12MP rear camera, powered by a capable Sony sensor. If suit-selfies are more your style, you also get an 8MP front camera and a wide-angle lens. Is this a return to form or just an old dog with some new tricks? * Naturally, the physical keyboard is the single most impressive part of BlackBerry’s new phone – it isn’t really a BlackBerry without one after all. The thing we like most is the 52 customisable keyboard shortcuts. Want to get straight to your emails? Just tap a letter of your choosing. * A working phone needs to be called into duty many times during a typical day, so the battery life needs to be up to scratch. The KEYone’s 3505mAh battery is quite sizeable considering its relatively low power needs, and the USB-C quick charge provides 50 per cent capacity in just 36 minutes. * While the KEYone has some really impressive standout features, overall it’s not the most capable of handsets, on paper anyway. Unless you really need that physical keyboard and the added security, you may want to look elsewhere, especially for entertainment features. * The physical keyboard, though useful, hampers the KEYone in certain ways. For starters, you only get a 4.5-inch screen. Bummer. Then there’s actually typing on it – with a top-heavy design, you’ll need two hands to deal with its pendulum of weight, which multitaskers might find annoying. 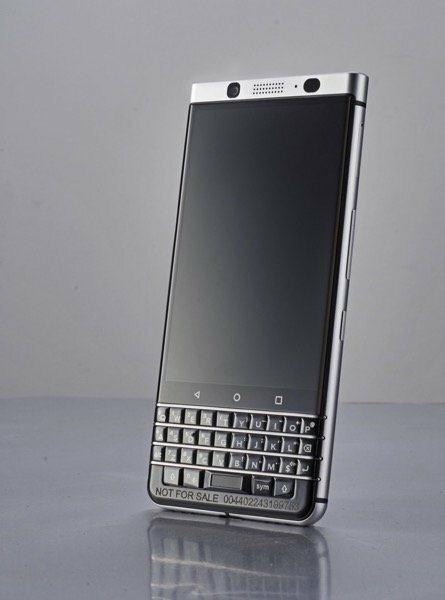 Want to know more about the latest BlackBerry? Check out the expert review on our sister site TechRadar. With dual Leica cameras on show, could this be the ultimate way to snap photos on the go? Available from just $612 – click here to compare prices! 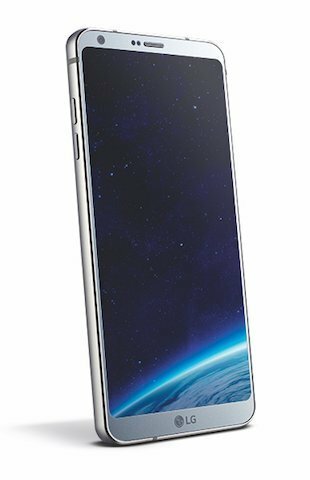 The Huawei P10 is a culmination of everything the company has been doing right, with a few minor tweaks from the P9 to make sure it keeps up with the big guns such as Apple and Samsung. There are two phones available – the P10 and larger P10 Plus; the bigger handset offering extras such as a larger, higher-quality screen, a slightly more potent Leica camera system, more RAM and a bigger battery (3750mAh), and a wider choice of colours. Otherwise, both phones are the same thickness, and look similar. The standard P10 comes with a 5.1-inch Full HD (1920x1080) screen, while the plus-sized model opts for a 5.5-inch QHD (2560x1440) screen. 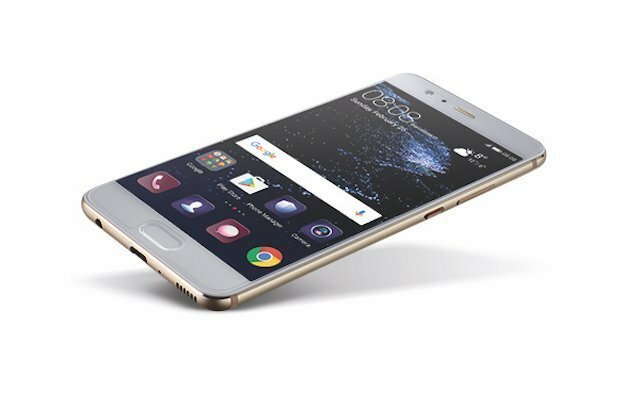 The Plus’ 540PPI count puts it on a par with the Samsung Galaxy S7 Edge for screen prowess. The P10’s ultra-slim 7mm body looks similar to its predecessor, but the edges are now rounder, making it easier to hold, and Huawei is offering three classy-looking exterior finishes: Hyper Diamond-Cut, Sandblast and High Gloss. The P10 and P10 Plus are set to go toe-to-toe with big guns like the Galaxy S8 and LG G6, but Huawei is keen to emphasise the P10’s camera capabilities over anything else. The new Leica camera found in the P10 and P10 Plus is outstanding. The P10 gets two SUMMARIT-H lenses, while the PLUS opts for SUMMILUX-H lenses. The Plus camera has a slightly larger aperture – offering better low light and action shots. When you take a shot, both cameras fire, and the phone combines them for a better shot in all lights. There’s a new Portrait mode, which adds wicked bokeh around people; the blur looks convincing. The front camera is also much improved, for sharper selfies. If your priority is taking great shots wherever you go, over having all the latest tech powering a phone, then the P10 and P10 Plus will certainly appeal. The P10 looks impressive, but can it match the big names? * The P10’s fingerprint scanner is something to behold – not only is it seamlessly integrated within the design, it also features quick navigation, enabling you to use finger gestures to control the interface. You can slide your finger right to show recent apps, or left to go back. * Let’s be fair, the P10 looks pretty stunning, but it’s been designed with practicality in mind, too. Take the recessed power button, for instance, which prevents it being accidentally pressed when you’re in the middle of something. It’s a simple thing, but it’ll make a big difference in everyday life. * Compared to the competition, the P10’s screen is a little middling. Sure, it still looks good, but with the majority moving beyond Full HD, and others – Sony, that is – pushing the mobile boundaries with a 4K HDR screen on its latest model, you can’t help but feel a little disappointed by its display tech. * The P10 Plus contains the Kirin 960 – the same chipset that appears in the P10, and the Huawei Mate 9. It would have been nice to see something new in its latest flagship, though you do get 4GB of RAM on the P10 and 6GB of RAM on the P10 Plus. Performance is certainly swift, if not spectacular. Want more info on a specific aspect of the P10? Read the exhaustive expert P10 review on our sister site TechRadar. The premium phone with the distinctly non-premium price tag is better than ever. Available from just $285 – click here to compare prices! The Moto G family has grown up for 2017. 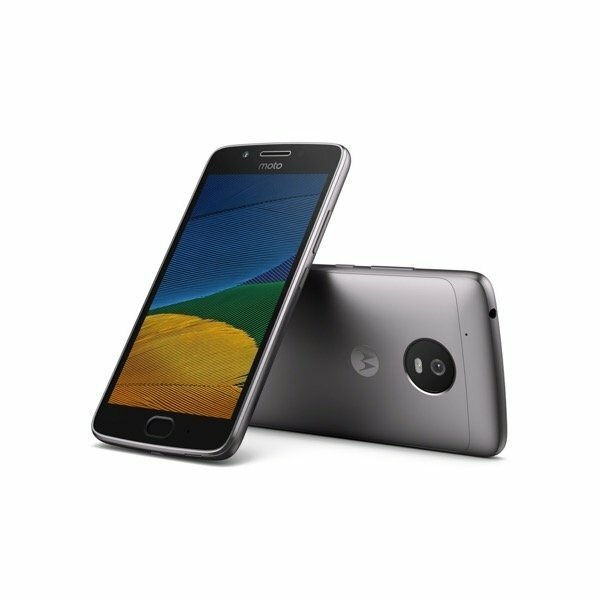 Motorola is finally designing its top-ranked budget phone with a metal chassis (albeit with rubber top and bottom; it’s not a unibody), giving the Moto G5 (and bigger G5 Plus) the looks to match its performance. You’ll forget this is an inexpensive device (prices start at $285 for the G5 and $321 for the G5 Plus) when you find out what’s inside that updated frame. We’re talking brand-new software courtesy of Android 7.0, along with Google Assistant (so you can do things like send messages by tapping the home button). There’s also a fingerprint sensor on the front, which, cleverly, also serves as the navigation bar: tap the sensor for home, swipe left to go back, and swipe right to view your recently used apps. The Moto G5 has a budget-friendly Qualcomm Snapdragon 430 chipset. The 1.4GHz octa-core processor is fast enough for most tasks, but it’s not as powerful as the Moto G5 Plus which rocks a Snapdragon 650 2GHz chip. The G5 comes with 16GB of storage, while the Plus offers 32GB. Around the back, the G5 features a 13MP camera with f/2.0 aperture and phase detection autofocus, while the G5 Plus gets a 12MP snapper with f/1.7; it’s a drop in pixels, but the wider aperture, along with 4K (30fps) video recording should compensate. If you want refined design and top all-round abilities at a low price, the G5 could surely be your next phone. It's certainly low-priced, but does the Moto G5 ultimately add up to good value? * Battery life – well, who doesn’t? Motorola has focused its efforts on getting the maximum juice from its handsets. Understandably, this isn’t one of the most exciting of features to start a dance about, but apparently, according to Motorola, people tend to buy phones that go for longer, so this is what you get. * This is still a budget phone, so you have to expect some compromises along the way. The most obvious of these is the lack of a USB-C connector. Instead you get a micro-USB connector; not the end of the world, but when everyone is moving towards the same standard it feels a little bit like a cheap move. LG has dialled down the show and ramped up the go in its latest all-screen smartphone. Available from just $479 – click here to compare prices! With the LG G6, the brand has dialled down the ‘out-there’ innovation of the G5, and gone for a more quietly refined design, while doing enough to make it feel like an all-new phone; a fit warrior for the great smartphone battle of 2017. The G6 is a much more conservative design than its predecessor, taking the form of a sealed unit that drops the removable battery, replacing it with a larger-capacity power pack and waterproof shell. The G6 is a bit of a beast in the display department, with a 5.7-inch FullVision GHD+ (1440x2880) LCD screen with a class-leading 564ppi, and an elongated ultra-wide 18:9 aspect ratio – perfect for movies then. The best news of all is that the display fully supports HDR, so you can expect eyeballs to start popping all over the planet when the G6 is in the wild. LG has gone all out on the premium to compete with the big guns. The G6 does away with the G5’s modular design and replaces it with a sleek and sophisticated metal and glass body, with a super slim bezel surrounding the screen – it’s water resistant too. The platinum model’s shown off here, though Australia also gets the black handset at launch. The G6 is covered in a mix of glass and metal, with two sheets of Gorilla Glass – weirdly, it’s Gorilla Glass 5 on the rear, and the older Gorilla Glass 3 on the front – framed with a rim of aluminium. What’s impressive is how little bezel there is. The rear of the phone is smooth, with no protruding camera bump, which LG says it achieved using slimmer sensors rather than more advanced lens tech. At the bottom of the phone is a USB-C connector, which supports Quick Charge 3.0 – and LG has kept a traditional headphone jack at the top. Australian models score the Quad Hi-Fi DAC, producing rich, crisp audio for wired headphones. We also get 64GB of storage, so there’s plenty of room for those space-hungry audio files. LG has opted for dual cameras on the rear, to aid photography enthusiasts. Both cameras are 13MP, one of which houses a regular lens (f/1.8), while the other uses a wide-angle lens (f/2.4) with a 125 degree field of view. This enables you to instantly switch between the two depending on the kind of shot you want. Unlike the G5, the battery is sealed into the handset. The power pack’s increased in size to 3300mAh within the slimmer 7.9mm frame – a good move. With a Snapdragon 821 processor inside, LG might not be using the latest and greatest tech, but it has optimised it (using its experience with the 821) to bring greater power, whilst maintaining a healthy battery life. Has LG returned to form with its latest flagship? * Super-wide screen aside, one of the biggest reasons to love the G6’s display is the inclusion of HDR – only the really big guns have included it this year. Amazingly, even with this added image goodness, LG has cut down the power consumption of its display by 30 per cent. * LG has made some sacrifices on the hardware side of things in order to keep the G6 looking smooth and slim. For starters, the camera sensors are narrower, to rid the back of the usual bump you get, and the battery is now sealed. We think it’s worth it - the G6 is stunning and feels great to hold. * The dual camera system is almost identical to its predecessor – the G5 – with the only difference being that both sensors are now 13MP, as apposed to the 16MP and 8MP (for the wide angle lens) sensors found in the outgoing model. So, the actual quality of the results isn’t much different. * The 18:9 screen – while impressive to behold – has one potential flaw: app support. The longer display works well with native apps that are built for it, but developers need to take advantage of the extra pixels on offer. LG says content will stretch nicely to suit, but there’s no guarantee. Want to know more? Head over to our sister site TechRadar and check out the comprehensive review. Looking to have some fun? These 4 tech toys will keep any grown-up child happy!